We tend to think of dynamics processors, EQs and, perhaps to a lesser extent, reverbs as our key tools when it comes to mixing, but you shouldn't overlook the potential that distortion and saturation processors have when used as mix tools. With the capacity to control dynamic peaks, add pleasing mid-range harmonics to basslines, soften harsh high frequencies and generally impart that elusive 'warmth' that is often missing from modern productions, making use of a hardware drive stage, or a quality emulation of one, might be just the thing to bring your productions to life. In this month's cover feature, we run through the science and techniques behind this process, as well as recommend some of the best software distortions for you to add to your toolkit. 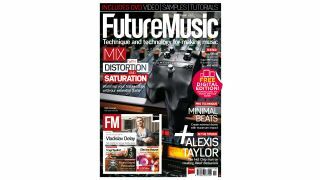 This plus loads more tutorials, artist features and all the latest reviews - with a ton of exclusive videos, sounds and samples - can all be found in the November issue of Future Music. Buy this issue in print and get the digital edition to download and keep for FREE!